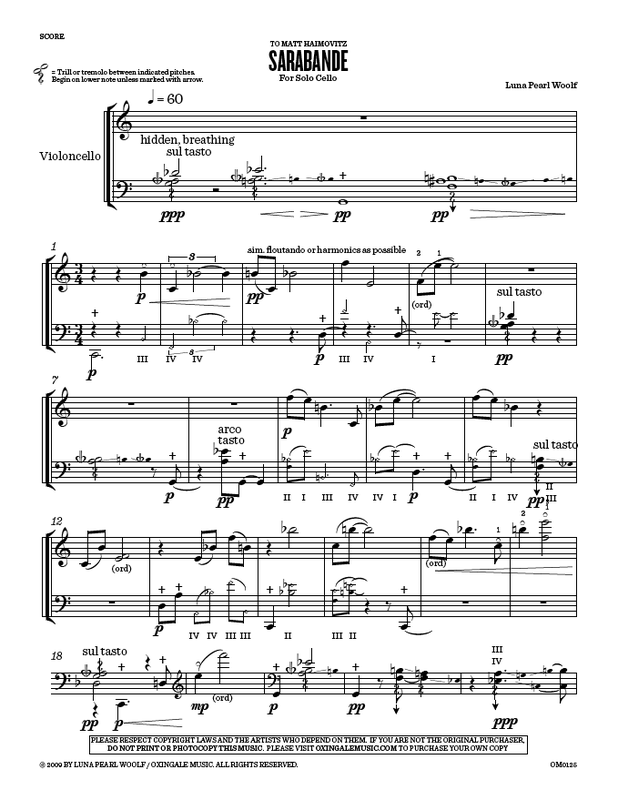 Sarabande was written in 2009 for Matt Haimovitz. By turns stark, desolate, enraged and mournful, it is not a work for the faint of heart. 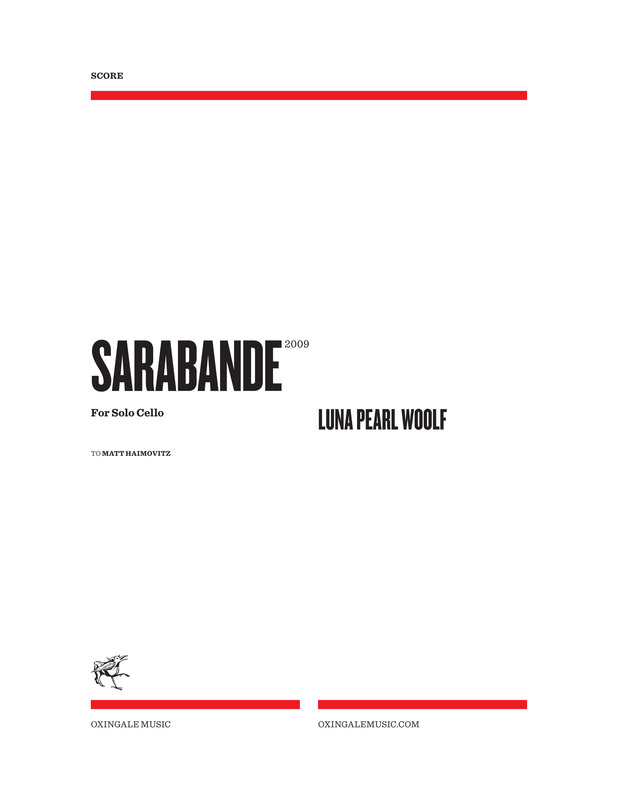 Sarabande owes its pulse and backbone to the traditional dance rhythm—the second beat of three emphasized over the first, the third often whispering or absent—and exists as a memorial for one lost too early and too inexplicably. This work is recorded on Oxingale Records’ album Figment. Click here to go to the album page on iTunes. This entry was posted in Cello Music, Luna Pearl Woolf, Matt Haimovitz, Recorded on Oxingale, Solo Cello and tagged cello, figment, memorial, sarabande, Woolf audio clips. Bookmark the permalink.